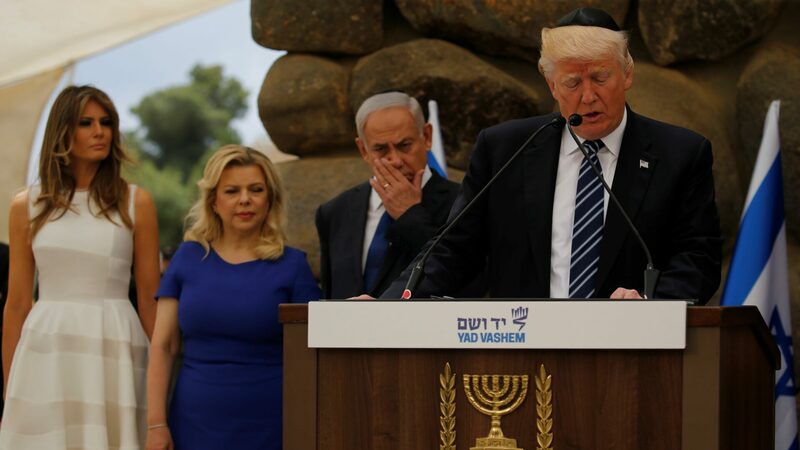 06 Dec, 2017 by	Margaret M.
Speaking in front of the festive Christmas decorations set up in the White House and with Mike Pence by his side, Trump has recognized a long-standing demand that will help Israelis keep their security in the Middle East. In 1995, a resolution was passed that asked the American government to affirm that the capitol of Israel is Jerusalem and that the American embassy ought to be moved from its location in Tel Aviv to the true capitol by no later than 1999. The deadline has long since passed and putting off signing that resolution has come up every six months since then. Every President since the passing of the resolution has had this order pass by their desk every six months and every time, each of those Presidents decided to put off the Jerusalem issue til later. After the order was ignored by Bill Clinton, George Bush and Barack Obama, Donald Trump is finally moving the embassy to Jerusalem from its present location in Tel Aviv. Right now, Palestinians claim some land in Jerusalem as their own and by officially declaring that the United States believes that the city is the capitol of Israel, they have effectively dashed any hopes of the Palestinians to take that land away. Moving the embassy to Jerusalem fulfills one of Trump’s campaign promises and it works nicely with a guest editorial we hosted in the Spring of last year. Star Parker laid out a great argument for moving the embassy, from the Jerusalem Embassy Act of 1995 to the fact that peace in the Middle East can only be furthered by a solid American foreign policy. So far, there is no exact timeline on when the operations will be moved out of Tel Aviv. It is estimated to take at least 3 to 4 years to move an embassy. First, land needs to be found and then a secure building must be designed. Once funds are allocated, building can being, and from there the current office of the Ambassador must make arrangements to move his operation from one city to another.